A spokesperson for the airport told reporters the wind blew away the thick ash that's been spewing from Mount Agung for days. A volcano on the Indonesian island of Bali is still erupting. But officials decided to reopen its international airport Wednesday. A spokesperson for the airport told reporters the wind blew the thick ash that spewing from Mount Agung in another direction. That cleared some space above the airport for planes to safely take off and land. And officials revised the Volcano Observatory Notice for Aviation for Mount Agung from a red alert to a less serious orange alert. But if the wind changes direction, officials say the airport could shut down again. Even though the airport is back open, evacuation orders are still in place. On Monday, authorities ordered tens of thousands of people living near Mount Agung to leave the area after the volcano started erupting last week. Loud explosions coming from the volcano could reportedly be heard miles away. 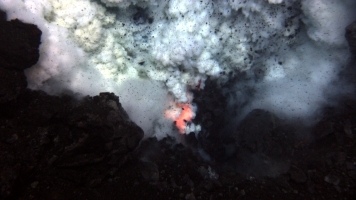 Experts say a bigger eruption is possible, but it's unclear exactly when that could happen. Authorities have been keeping a close eye on Mount Agung since September, when hundreds of shallow earthquakes were recorded on the volcano. The last time Mount Agung erupted was in 1963. More than 1,000 people were killed.